How should the church respond to the decline of modernity and the rise of postmodernism? Some are trying to hold on to the last vestiges of modern thinking, hoping through perseverance to affect a world that is, to a large extent, unable to even respond to modern conceptions. Others are eager to accept postmodern ideas and concepts, thus forcing Christian thought and doctrine to change for a new era. And still others, including Robert Webber, feel that the future of the church lies in its past. Webber argues, in Ancient-Future Faith, that the best answer to postmodernism is the ancient, orthodox Christian faith developed in the first centuries of Christianty. He looks at what he calls the six paradigms of Christian history. In each paradigm, the church faced specific cultural and social challenges. It was the response to these challenges which formed the basis of how the church presented itself to that particular culture and time. The six paradigms are: the formation of the church out of the Jewish culture and religious context; the ancient or classical (100-600 AD); the Medieval (600-1500); the Reformation (1500-1750); the modern (1750-1980); the postmodern (1980-the present). 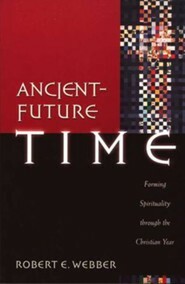 Webber argues that the postmodern paradigm is most similar in context and flavor to the classical paradigm, because of the classical paradigm's emphasis on mystery (each paradigm sees a different emphasis--mystery in the classical, institution in the Medieval, the individual in the Reformation, reason in the modern, and, once again, mystery, in the postmodern). 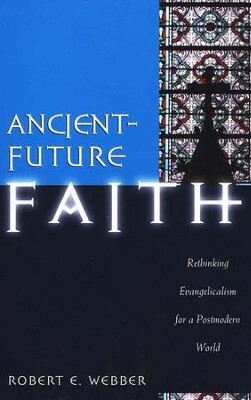 The goal of incarnating Christianity in and to the emerging culture of postmodernism "will not be accomplished by abandoning the past, but by seeking out the transcultural framework of faith...that has been blessed by sociocultural particularity in every period of the church...The point of integration with a new culture is not to restore that cultural form to Christianity, but to recover the universally accepted framework of faith that originated with the apostles, was developed by the Fathers, and has been handed down by the church in its liturgical and theological traditions...Our calling is not to reinvent the Christian faith, but, in keeping with the past, to carry forward what the church has affirmed from its beginning." 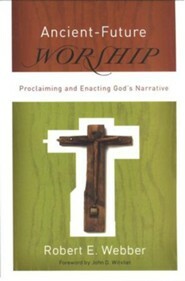 Thus, Webber argues that only by affirming the established truths of Christianity that have remained through all of the paradigms can we hope to truly affect our postmodern culture. 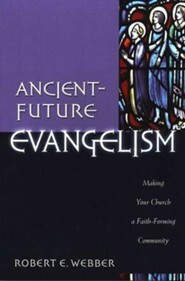 Paints a picture of the evangelical faith's future by showing how early church tradition provides the resources for answering today's postmodern generation. 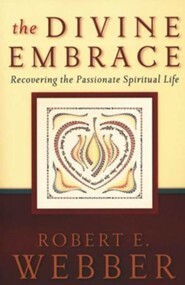 Robert E. Webber is Myers Professor of Ministry at Northern Seminary, president of the Institute for Worship Studies, and emeritus professor of theology at Wheaton College. He is the author or editor of more than twenty works, a columnist for Worship Leader magazine, and an editorial consultant for Reformed Worship. Webber lives in Wheaton, Illinois. I'm the author/artist and I want to review Ancient-Future Faith: Rethinking Evangelicalism for a Postmodern World.